The number of low-income Connecticut children receiving dental sealants, a treatment to prevent tooth decay, has grown in recent years and the state’s participation rate outpaces the nation. In 2016, 44,497 (19.6 percent) of the 226,111 children ages 5 to 16 enrolled in the Connecticut Dental Health Partnership had sealants placed on molars, up 9 percent from 2011, according to the state Department of Social Services. Nationally, in the 2015 fiscal year, 14.9 percent of eligible children – 2.7 million out of more than 17 million – received sealants, according to the Centers for Medicare and Medicaid Services. About 62 percent of children enrolled in HUSKY receive dental care. State officials and dental providers make a concerted effort to educate families about the importance of sealants, said Donna Balaski, director of dental services at DSS. “Sealants are shown to be an effective treatment for preventing disease,” she said, and is part of a broader DSS strategy to teach families about overall dental health. School-age children without sealants have nearly three times more molar cavities than those with sealants, according to the Centers for Disease Control and Prevention. Low-income children are 20 percent less likely to have sealants, and are twice as likely to have untreated cavities than higher-income peers, according to the CDC. Untreated cavities can lead to pain and infection, as well as problems eating, speaking and learning, according to the CDC. Sealants are thin, clear coatings that typically are painted onto permanent molars, the most cavity-prone teeth. Dentists say they play a major role in protecting against tooth decay and prevent the future need for more costly fillings. 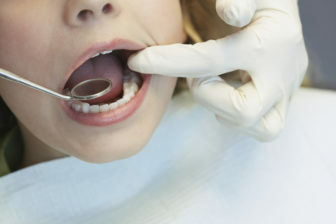 In Connecticut, HUSKY Health, which is part of the Connecticut Dental Health Partnership, covers the placement of sealants on molars as well as pre-molar teeth, located just in front of the molars, Balaski said. Putting sealants on molars is common industry practice, said Dr. William Nash, a dentist who practices in Fairfield. Parents and caregivers usually are eager to have children get them once they learn of the benefits, he added. “It’s one of the best preventive measures out there,” he said. But Balaski said that challenges persist in getting children to dentists. Statewide, 62 percent of children enrolled in HUSKY see dentists regularly, she said. Dentists continually strive to improve access to patients, said Dr. Michael Ungerleider, immediate past president of the Connecticut State Dental Association and a dentist practicing in Granby. Every HUSKY child, he said, has a dentist within 10 miles but that doesn’t mean every child goes. Many forego dental visits out of fear or convenience, he said. Some school-based clinics are staffed with dental hygienists, who work under the guidance of dentists and can apply sealants. To reach families, DSS attends community events and sends e-newsletters that focus on sealants and other health topics. Department staff calls families when they notice a child hasn’t had a dental appointment within a year, and children deemed particularly at-risk receive in-person visits to discuss dental health, Balaski said.